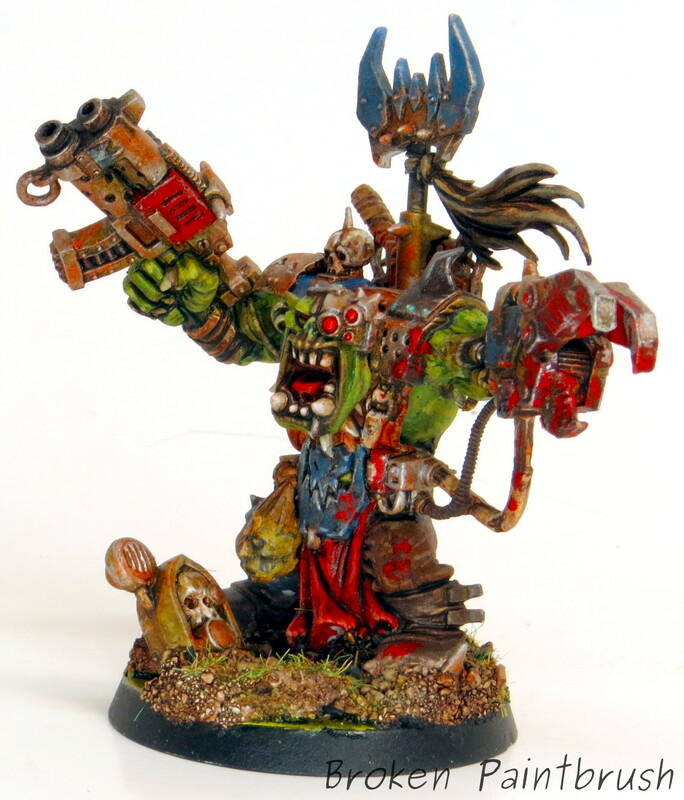 To lead my growing Ork hoard, it needed a good Warboss to knock some heads around. Enter the Death Skull Warboss from Assault on Black Reach, which is very suitable for a head-crunchin’. With a simple adjustment to the right arm, I tipped it out a bit and opened up the model. 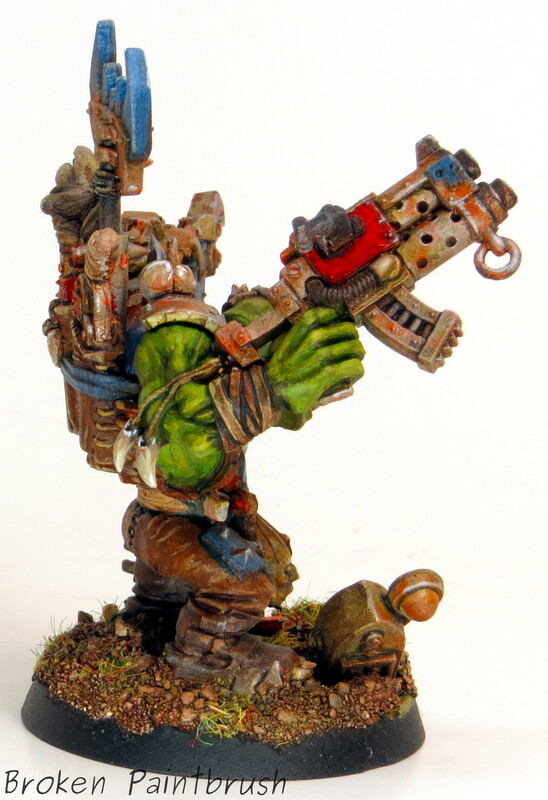 The gap was filled with green stuff, and I added an extra shoulder guard from the Nobz kit. I figured the power klaw should be suitably messy and covered in gore. The rest of the metal is suitably rusted up and worn out. I also added a nasty looking trophy head and slightly tilted the head towards the Klaw. The missing neck was also filled in with some green stuff and smoothed into place. The blues add a nice contrast to the green skin and the bloody red. 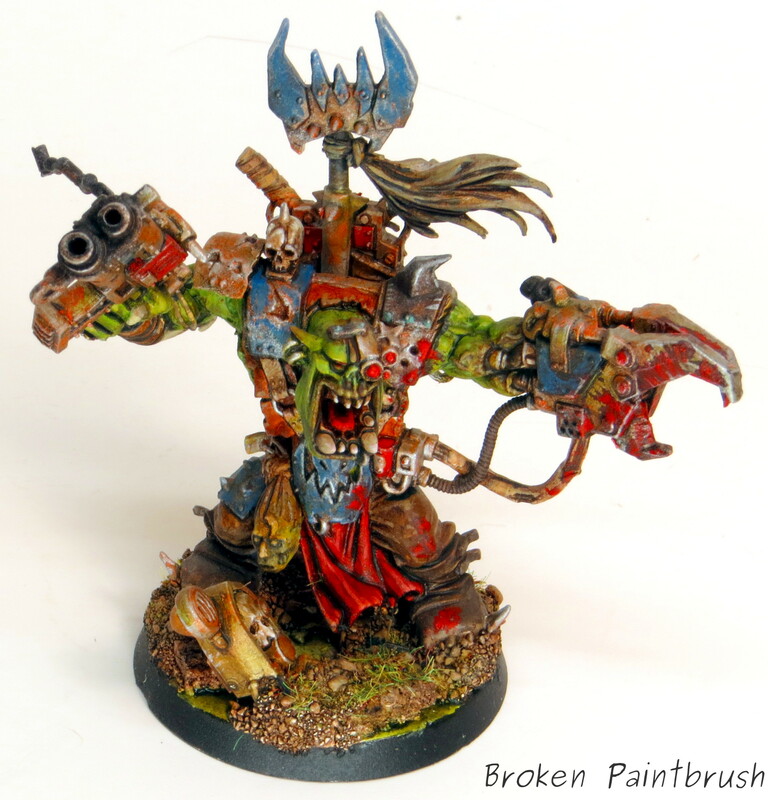 Want to paint an Ork just like him? I’ve got you covered with a painting tutorial! The tutorial has the step-by-steps I used for this guy, including the skin and bloody mess. He has so many little details it was a blast to paint up. 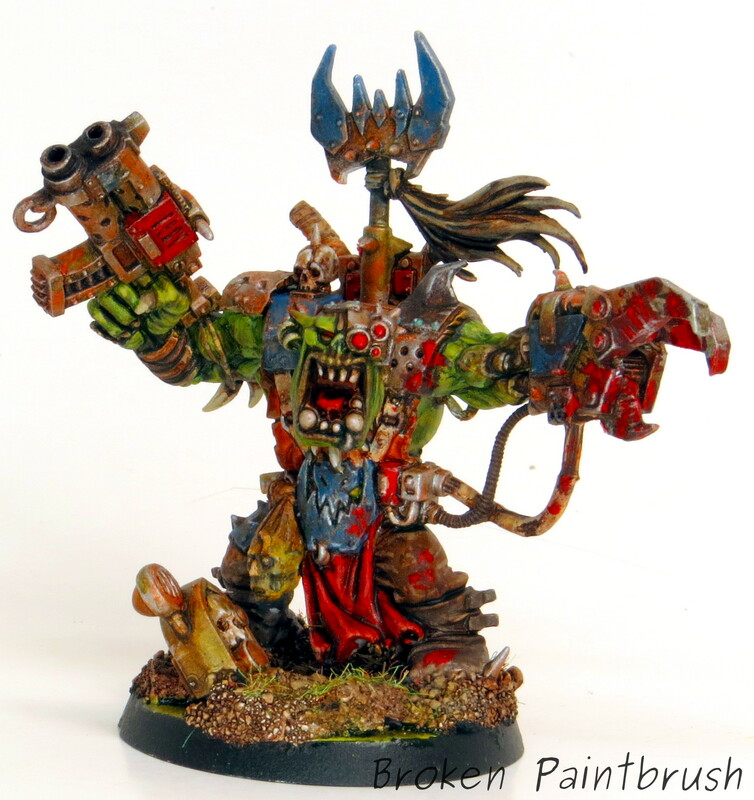 And the Death Skulls Warboss completes the models from AoBR. You can see the Deffkopters here, and the Boyz here, though I’ve gone to a much lighter skin tone now.